SOLD!!! 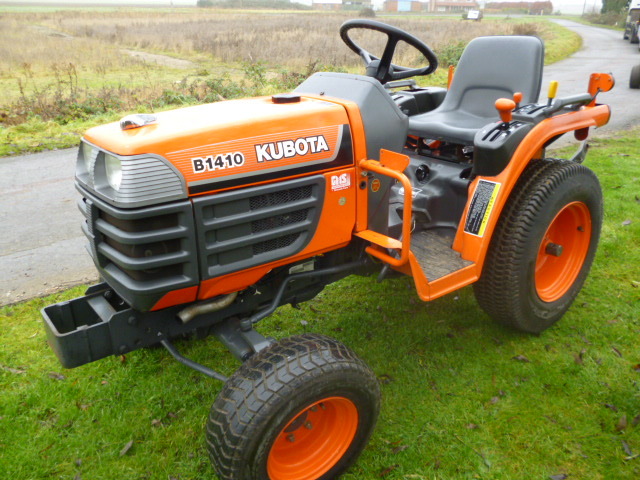 KUBOTA B1410 4X4 COMPACT TRACTOR, ONLY 76 SOLD! Brief Description: 76 HOURS. 4X4. 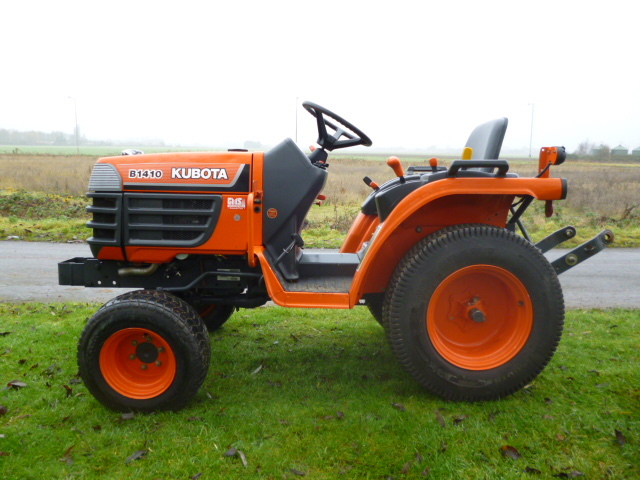 3 POINT LINKAGE PTO. MANUAL GEARS. DIESEL ENGINE. TURF TYRES. 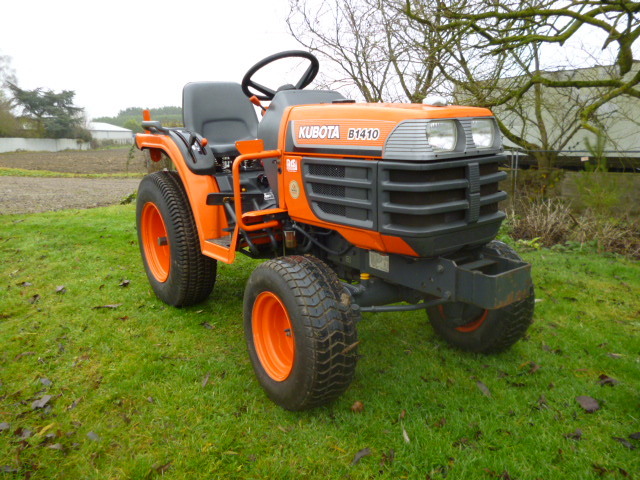 More Information: An excellent used Kubota B1410 tractor, which hosts a range of features and is powered by a 14hp Kubota diesel engine. 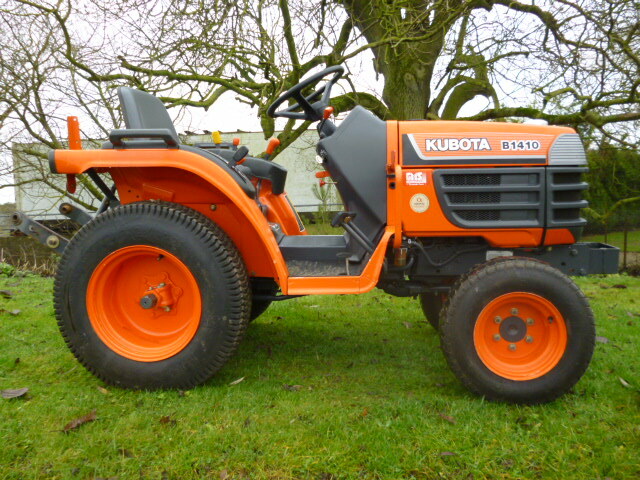 It has a rugged two speed rear PTO enabling the machine to apply a range of attachments. For comfort, the machine has a semi-flat deck with the advanced design allowing greater leg room and ease of accessibility. 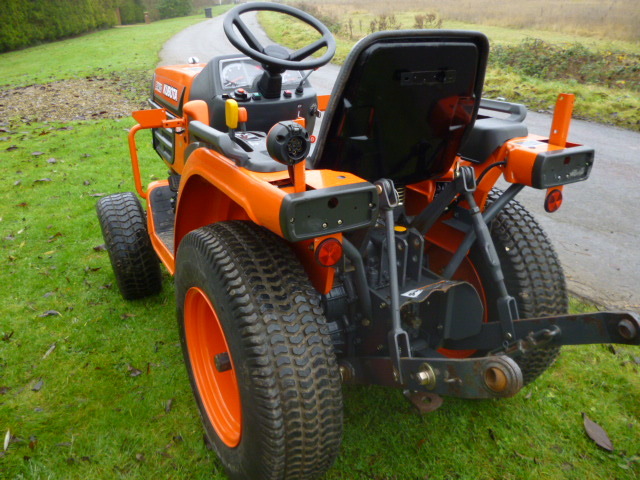 For safety, the machine has a rubber mat and rubber padded foot pedals. The deluxe instrument panel has easy to read displays: a tachometer, temperature gauge and other instruments are positioned for easy reference and are illuminated when the headlights are turned on. The 3 point hitch supports easy to use implements, and by changing over the hydraulic circuit for lift implements using single acting hydraulic pressure - such as tipping trailers - can be operated with a 3 point hitch control lever.